to use the type tester. Featuring a large x-height, razor-sharp serifs and terminals, Eloquence has a modern aesthetic with a strong classical influence. Inspired by the first printed letterforms from the Renaissance period, I am dubbing my interpretation Renaissance Remixed. Please play with the type testers here to see how Eloquence performs, you can also download a comprehensive type sample here. 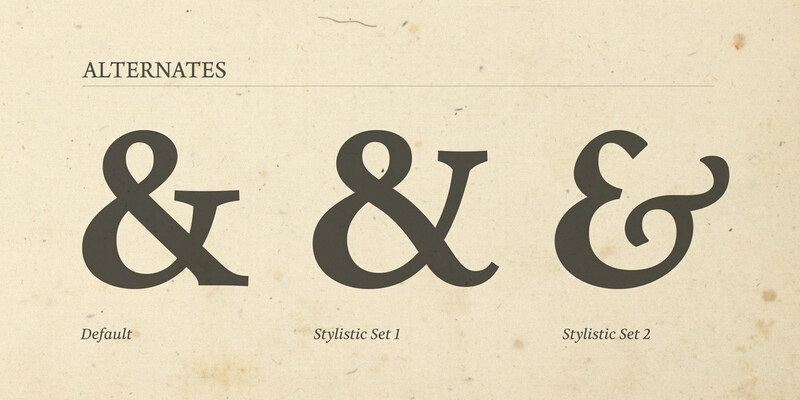 Please try the fonts here for yourself using the Type Tester. If you like what you see, you can purchase Eloquence from my reseller partners. Be sure to check all the links as promotions are available occasionally. Having wanted to create a text typeface for some time, I finally found drawing inspiration during a trip to Italy, and, several months later, Eloquence is the result. It is my interpretation of Renaissance type that has been attributed to the likes of Nicolas Jenson, Aldus Manutius, and Claude Garamont. Rather than faithfully reproducing this late 15th/early 16th century style, my sketches featured a large x-height with open bowls and counters (this appears to be a recurring habit of mine). When comparing what I had drawn to the masters’ originals, and seeing that the similarities were negligible, my intuition guided me to develop the purest, most legible typeface that I could. This became my brief which drove me to completion and the type you are reading now. 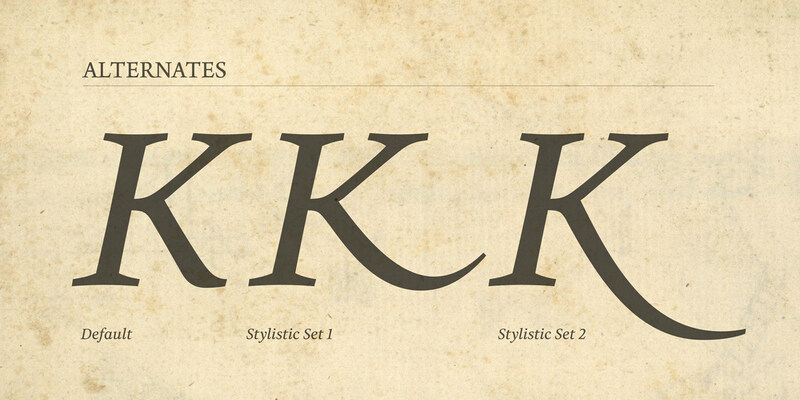 Several of my type families include extensive OpenType features, and Eloquence is no exception. Small Caps are included as standard and activated with a click of the button. 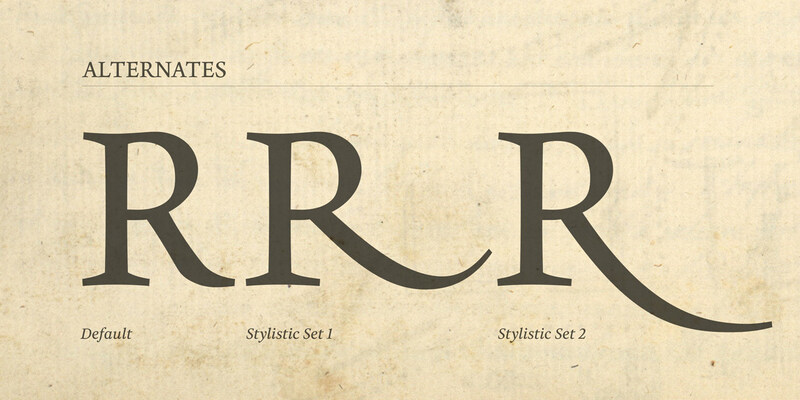 Perhaps the most striking glyphs are the variations of /&/K/R/ along with swash alternates for /A/Q/. These are available by activating Stylistic Sets (1 and 2). 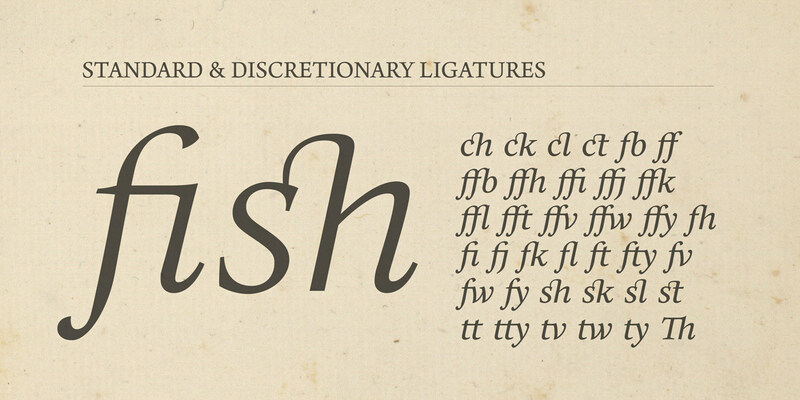 In addition to the swash characters, there are some really neat and well-balanced Discretionary Ligatures that are ideal for enhancing your titles (all caps) or embellishing your body copy (lowercase). Gadzooks for /ch/ck/cl/ct/sh/sk/sl/st/ combinations are achieved by activating Stylistic Set 1 and Discretionary Ligatures. Figures are comprehensively covered – you get Proportional, Old Style, Tabular, Small Cap, Numerators, Denominators, Superiors, and Inferiors. Eloquence has an extensive character set, catering for all Latin languages. In total there are well over 900 glyphs in each font – please download the specification sheet to view them all. Hopefully you might like to bring a little Renaissance Remixed to your own projects, whatever they may be. Let me know what you think below and I will send on a couple of fonts for you to try. Please note that each font here has a very limited character set. 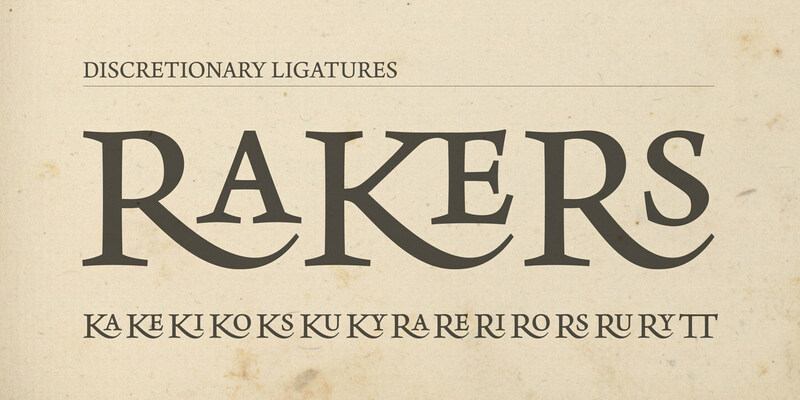 Please visit my font reseller partners to access all glyphs in the entire family. Where can I get the Eloquence fonts?